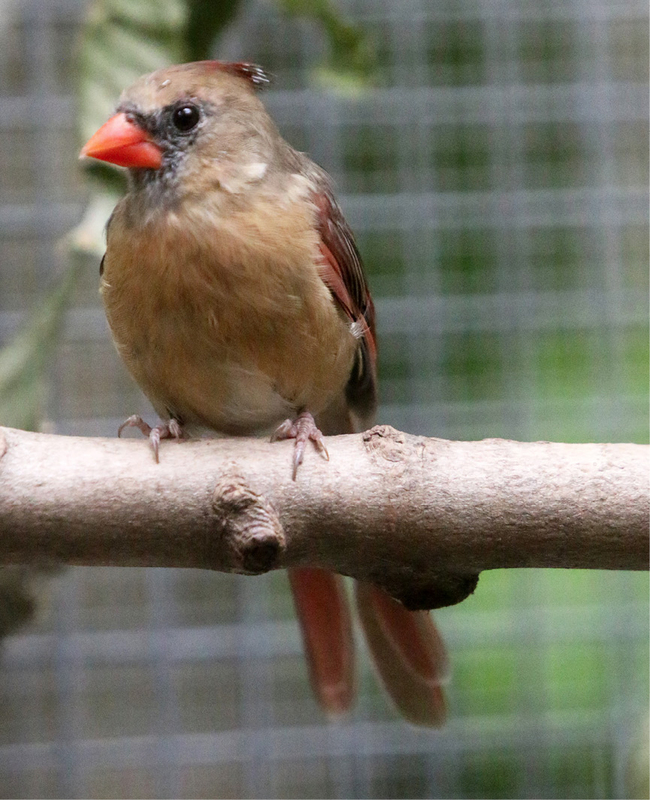 This cardinal came into VINS’ rehab program in September of 2012 as a fledgling, just out of the nest. Wilder had been caught by a cat, and had an injury to her right shoulder. After being treated and hand fed for weeks, rehabilitators discovered the injury had healed improperly. She was added to the songbird exhibit as a permanent resident soon after. The songbird enclosure contains many ramps to accommodate Wilder’s needs, and she takes full advantage of them! In the spring, she can become a bit aggressive, chasing the other songbirds she is housed with away from the most prized sunflower seeds. Northern Cardinals are a common feeder visitor, and prefer the large seeds that their broad, strong beaks can crack open. 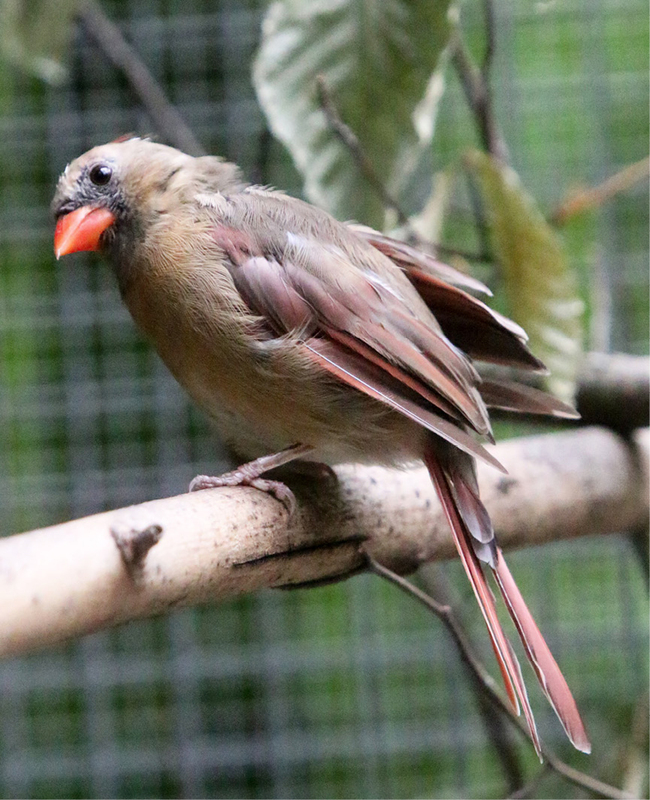 The Center for Wild Bird Rehabilitation ensures that all exhibit birds have comfortable living quarters and biannual health checks. Visit Wilder in our Songbird Exhibit at the VINS Nature Center. 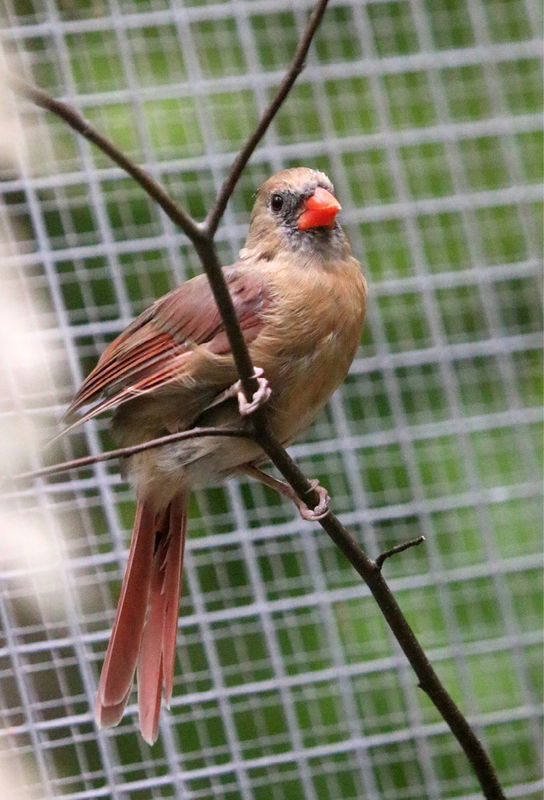 Thank you for helping support the care of our Northern Cardinal, Wilder, through the RISE Adopt a Raptor Program. Together, we can protect our natural heritage through education, research and avian wildlife rehabilitation.